A great basic family ute! The new LS base model did not disappoint me at all! Very similar to the higher spec LTZ but firstly improved by the fact it has no carpet on the floors so it can be hosed down!! AMAZING!! The kids can climb in after the beach and I can throw all the gear in the footwells and it can be swept out a lot more easily than carpet! 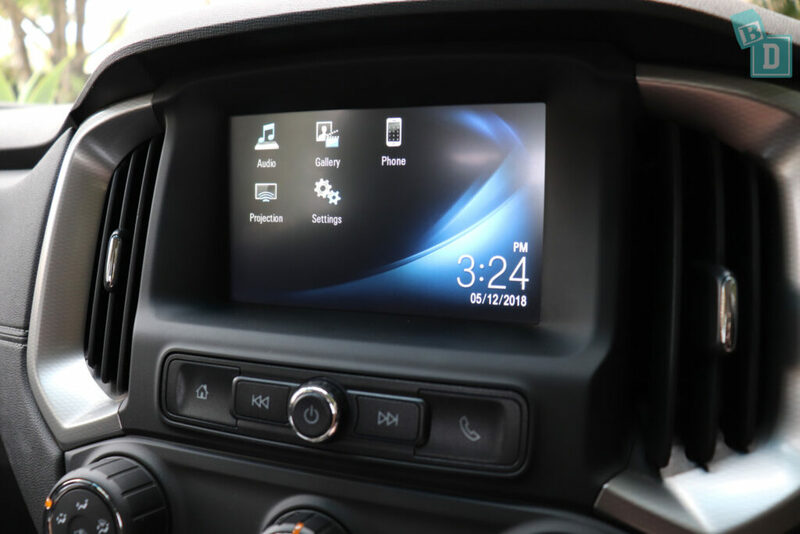 The media system in the LS has a slightly smaller 7-inch touch screen that is easy to use and to connect my phone to. 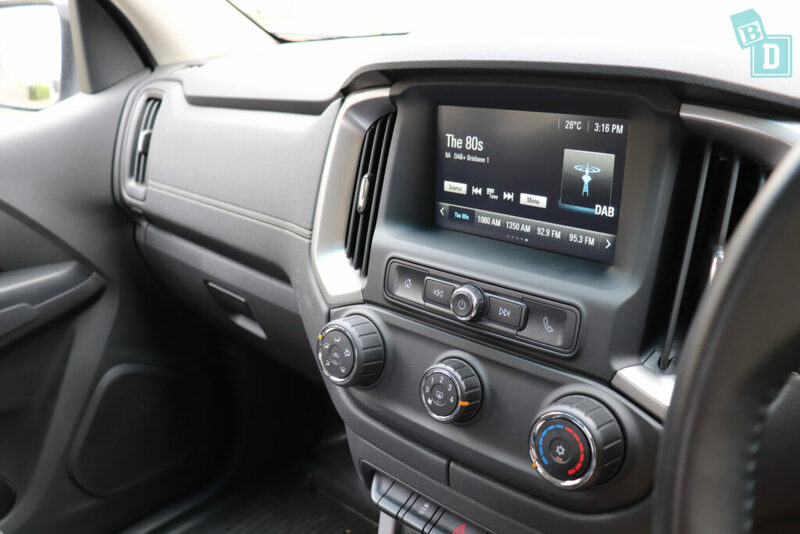 It has Apple CarPlay and Android Auto and DAB+ digital radio reception which is fantastic for a base model ute. 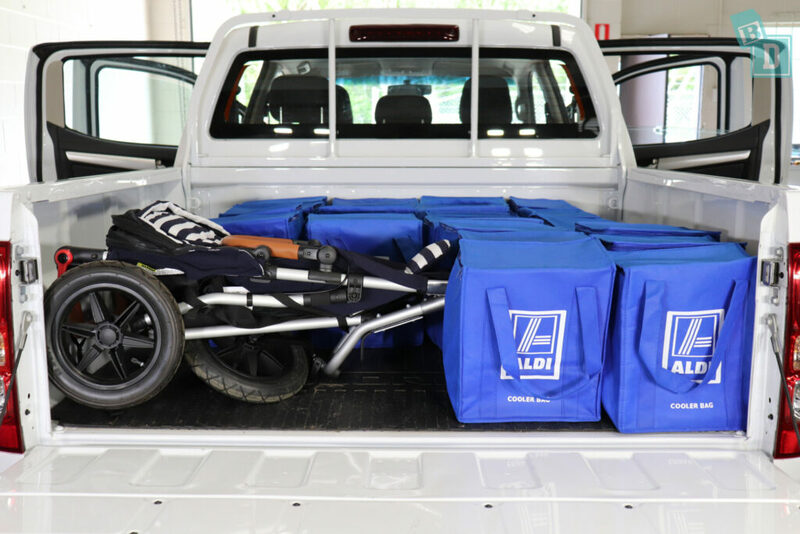 The LS model still has reversing sensors and a reversing camera which is FANTASTIC for a base model ute as a lot of top models utes don't come with either. These and its tight turning circle made it easy and satisfying to park for a car of its size. I was intimidated at first by the size of the Colorado LTZ, I thought it would be awkward to lift my hefty baby up into and being 162cm I’d never be able to reach in to do up her seatbelt, let alone into the back of the tray with the pram! I’m happy to say I was wrong! And none of this was a worry with the LS model because I knew what to expect! The elevated seating position gave me great visibility and I discovered it to be the perfect height for posting bub straight into her car seat without having to bend down and in like I do with many lower cars. Bub is much bigger now and she loved the view out of the windows and the excitement of climbing up the step and into the cab! 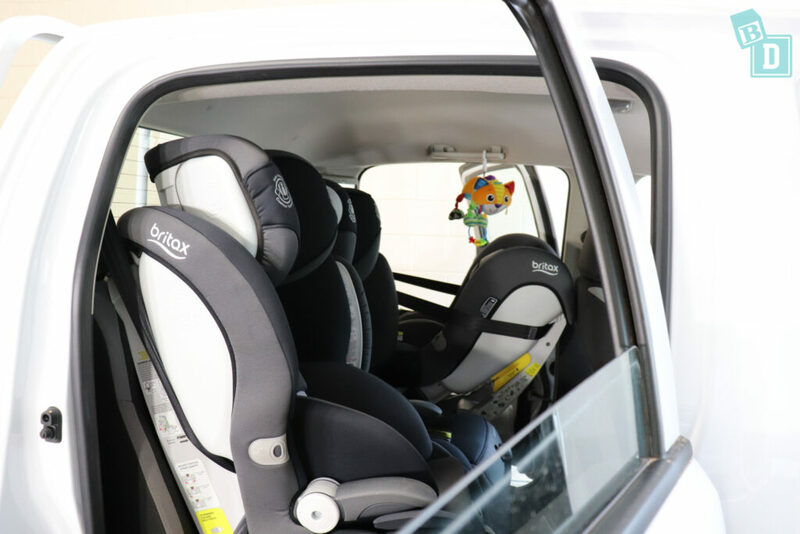 The cab is VERY spacious and there is ample leg room in the front for a 182cm passenger with a rear-facing child seat behind them. I could get a good amount of grocery shopping in the cab too and found it surprisingly comfortable to use the tray for the stroller, dog and shopping bags. Lifting the stroller in and out of the tray was pretty simple, and yes I had to lift it higher than I would a sedan but it’s straight in and I didn’t have to bend, unlike some cars where I’m fighting to post it through a difficult shaped boot opening. The tray had a rubber flooring which is great for hosing down and doesn't damage a stroller when you're sliding it in and out like a tray with an abrasive surface could. One of the main downsides for me with utes is the back window being flat and so close to the back seats that when my daughter was rear-facing, the sun would shine straight in onto her face. I fitted three child seats into the Colorado, there are ISOFix in the two outer seats and top tethers on the back of all three backrests. 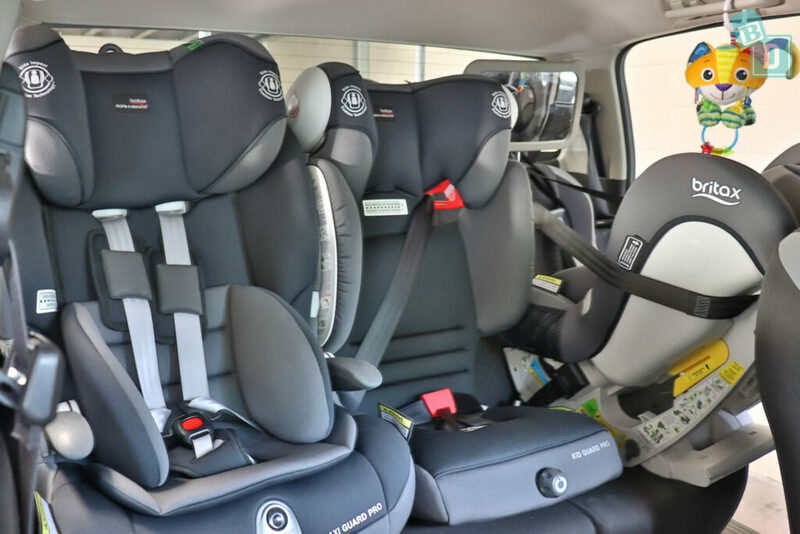 Utes are notoriously difficult to install child seats and I find the Colorado one of the best for fitting them. 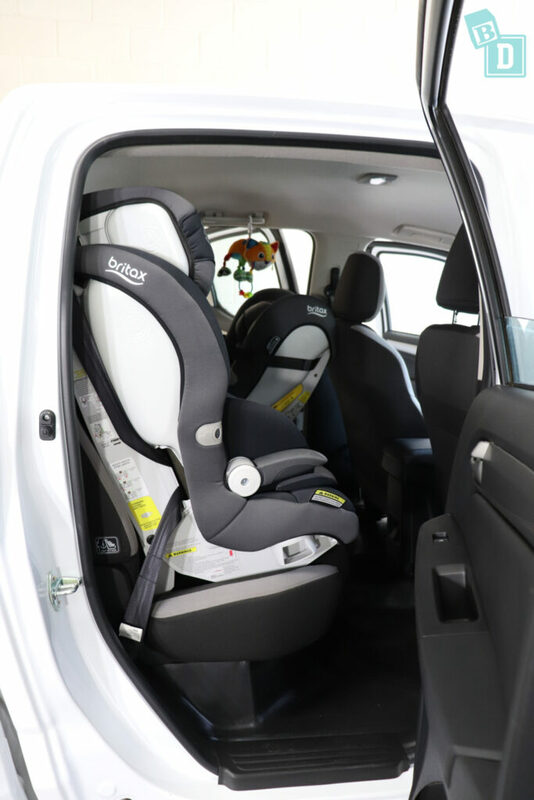 The spacious cabin means you have more room to work in and maneuver the child seats around and it has regular metal top tether anchor points on the back of the seat backs rather than some of the alternative top tether methods in some utes. The doors seemed to shut better on this LS model as I found the doors hardly ever shut first time with the LTZ which was annoying and disturbed sleeping passengers! The windows open about an inch automatically when you open the doors, which at first I thought was a nice feature to let some air in but soon became annoying because if it's raining you really do not want to have water coming in and I found if bub is asleep the noise of the opening and closing windows is disturbing too. There was nowhere convenient for my mobile phone and the central storage compartment lid is too long, spilling my drink and making its opening button inaccessible with a drink in the holder. The cup holders are an inadequate size and we could do with a few more of them please Holden! The steering wheel could not be adjusted in and out but I didn't find it as much of a problem in the LS model as I had previously in the LTZ and I found the seats more comfortable in the LS model. They are woven upholstered so they would collect spills and crumbs and be harder to wipe clean. The tray of the Colorado LS is lined with a large rubber mat which I found super practical for hosing down easily and it protected the tray without scratching things when you are sliding them in and out. The tailgate doesn’t have gas struts so falls down quickly. 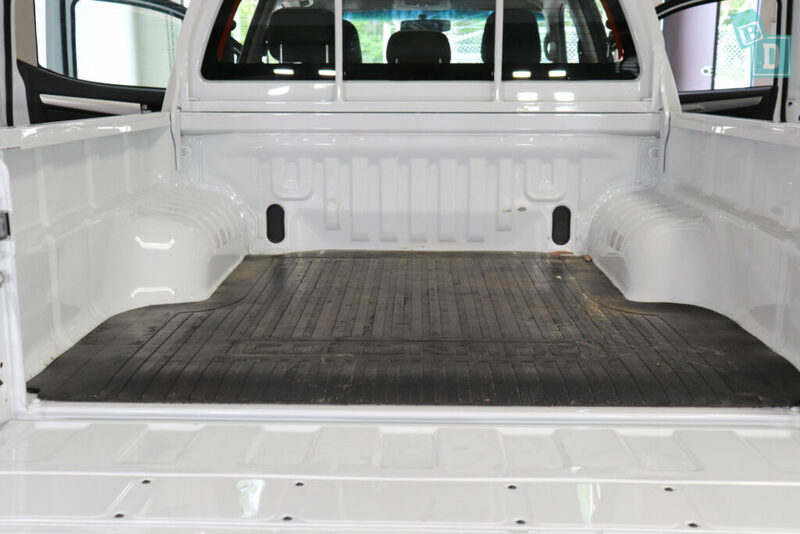 The tailgate requires two hands to open and operate. You definitely wouldn’t want the tailgate to fall open onto a child’s head that was standing beneath it, and it is at toddler head height. I found when I went to load up the tray with Bub and bags in my arms, I’d have to put everything down in order to open the tray. So I’d dump everything on the floor behind the tray and put Bub into her child seat in the cab first, then go back to the tray to load it up. I’m not a fan of doing things in this order because Bub hated the car so much when she was younger that I had to put her in last so she wasn't waiting for ages and getting into a frenzy while I loaded the tray! 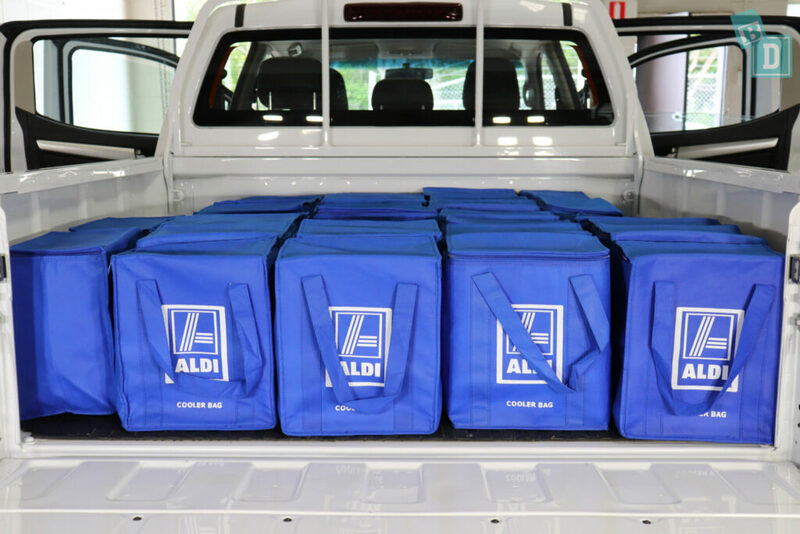 When empty, the tray would hold 29 shopping bags. 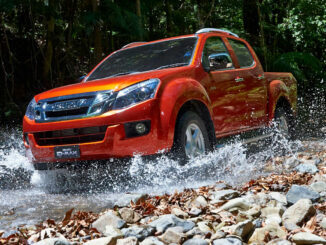 That's the same Isuzu D-Max and Toyota Hilux Rogue. As my height is a modest 162cm, I find with most utes I can only reach the first metre of the tray without having to hop up into it. 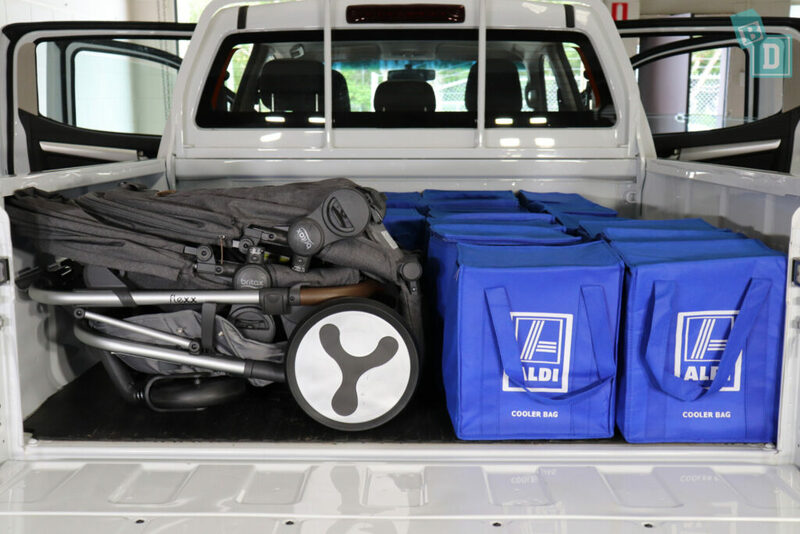 There is a lot of space in the Colorado's tray and could easily get my Mountain Buggy Duet twin stroller in with 19 shopping bags. The Britax Flexx tandem stroller fitted with 21 shopping bags around it. The Mountain Buggy Urban Jungle fitted with 21 shopping bags beside it. The Mountain Buggy Nano fitted with 25 shopping bags beside it. In the cab the storage is very basic, there are only two cup holders in the car situated in the central console. A large refillable water bottle will fit in the back one but the lid of the console box obstructs it. The smaller one in front will hold a disposable or reusable coffee cup. 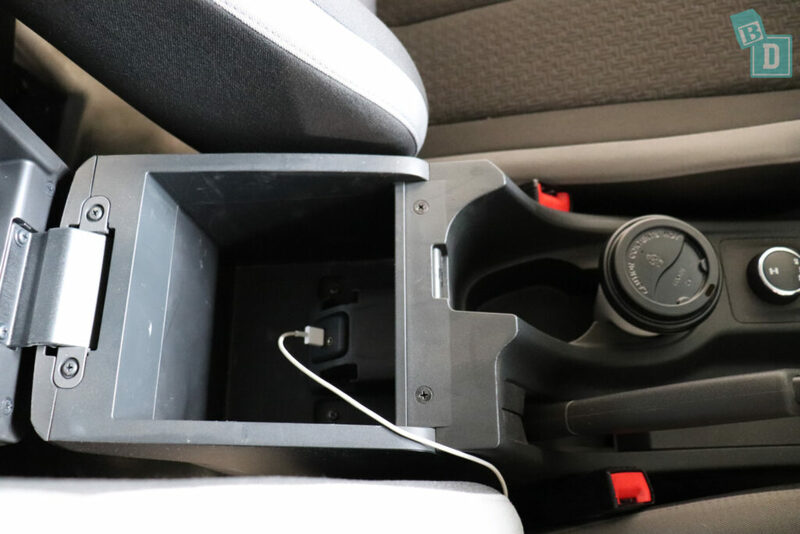 The clasp for opening the storage box is difficult to access when you’re using the cup holders as it is situated under the lip of the lid on the same side as your drinks sit. Had it been put on the side of the handbrake it would have been much easier to use. 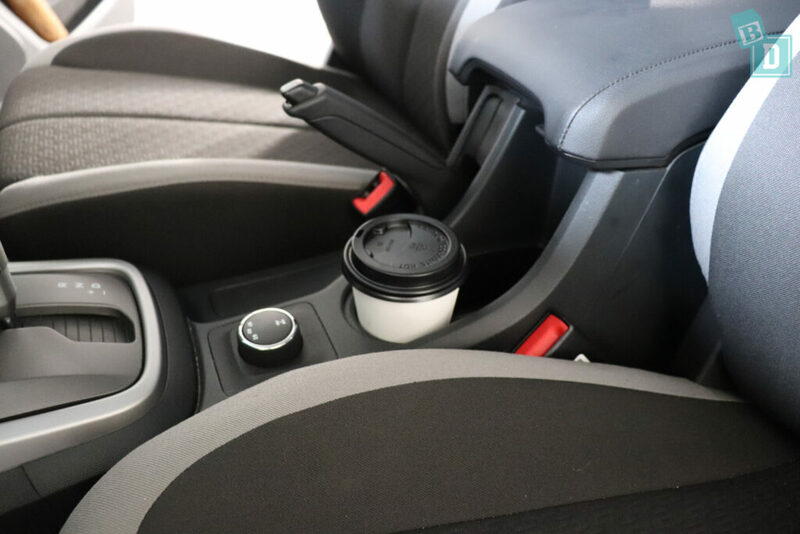 This was one of my biggest gripes with the LTZ and still is with the LS model, it may sound petty that the cup holders aren’t well positioned but without referring I asked my husband what he thought of the car and he had the exact same bugbear. That was just a week so I think that cup holders are something that we all use every day and over time this would become a real annoyance. The previous model had a cup holder below the vent near both doors which was great positioning from a safety point of view for the drivers hot coffee cup; keeping it away from the central console where little hands could access it and the vent could be used to cool it down to drinking temperature quickly too!! 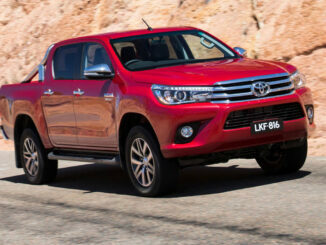 This can be added to this model but you have to pay $27 each as an optional extra. This would be a must for me! 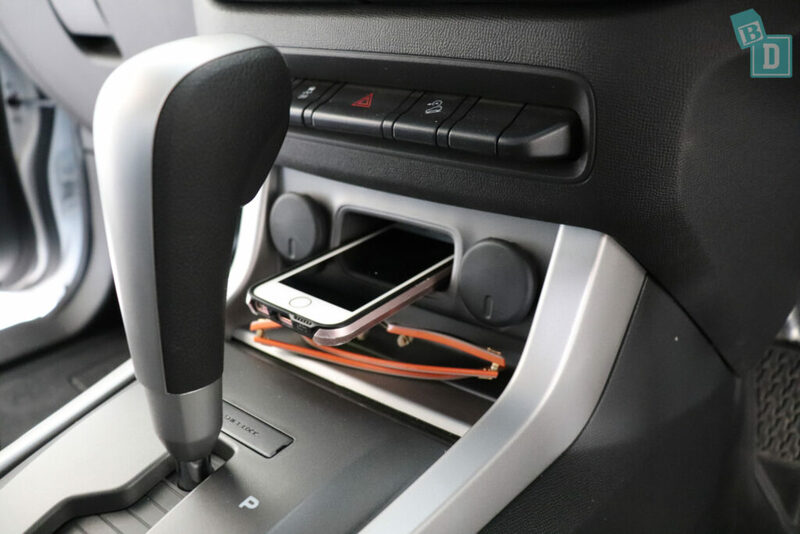 There are two 12V power sockets in the front either side of the only spot to put your sunglasses and phone. 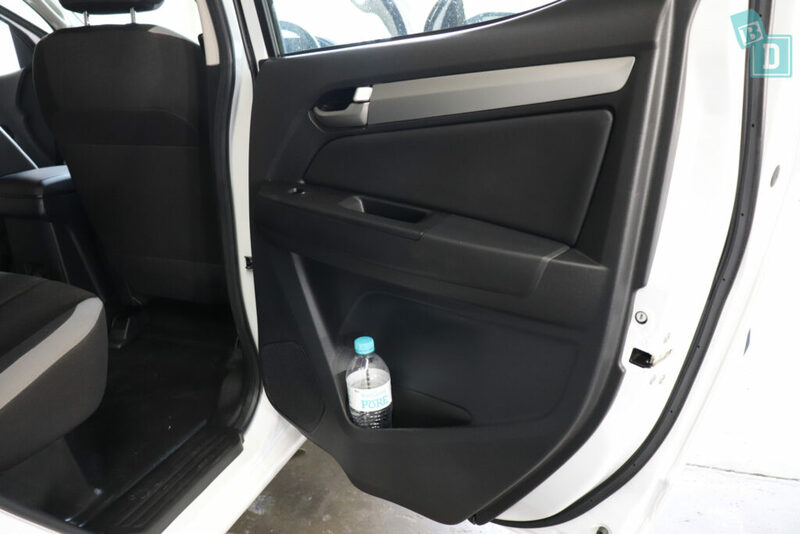 There is not a huge amount of storage in the cab, the door pockets in the front they are not very deep and will just hold a large refillable water bottle. 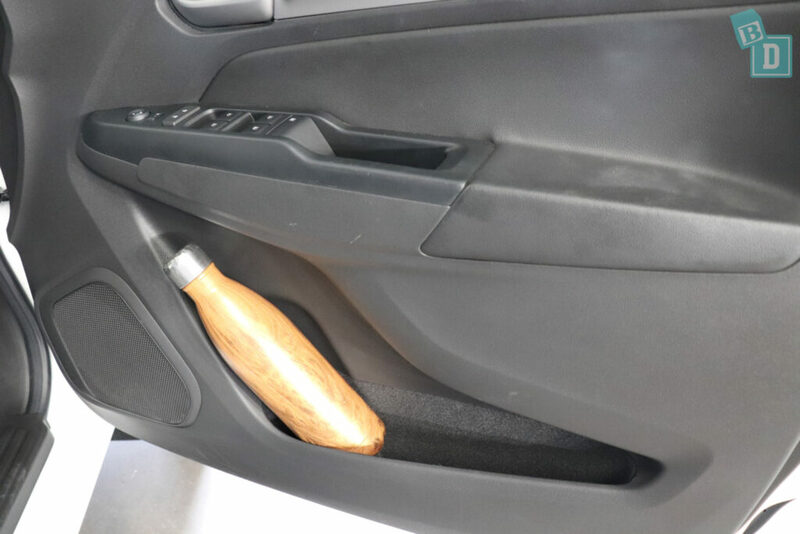 In the back the door bins are relatively small with room for a small 600ml drinks bottle, there are wells in all the door handles too which are convenient for popping little things in when putting bub in and out of the car. 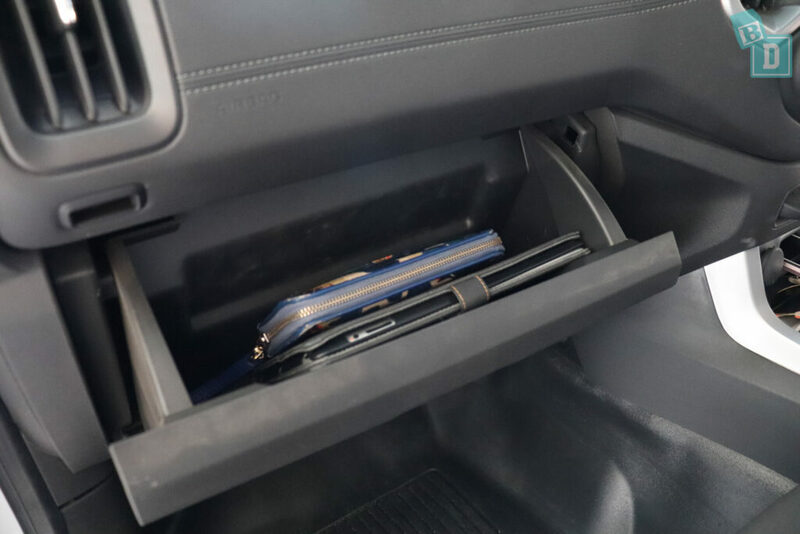 The glove box would hold the iPad and my wallet without the manual in but it wasn't enormous. In the back, there is no storage just the door bins and handle wells there are no map pockets on the back of the front seats in the LS model the interior is minimal. 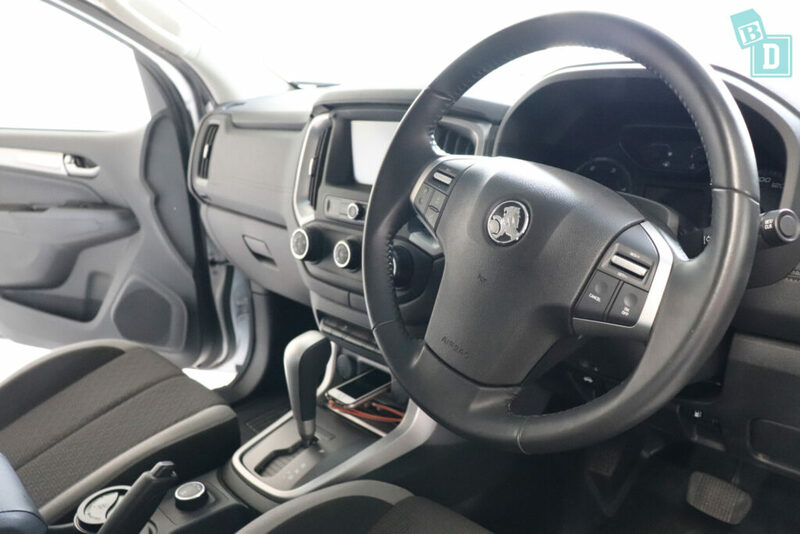 The Colorado LS doesn't have too many noisy features as it is the base model, it does have a great reversing camera and has rear park assist which does make a beeeeeeeeeeeping sound, which is a great safety feature but they can wake or distress babies and annoy frazzled mums!! There was not the dash-mounted button to turn this off that there was in the LTZ model. The media system is easy to use and navigate and has a clear 7-inch screen. There is no built-in sat nav, the Colorado LS does have Apple Car Play and Android Auto so I could use my maps through my phone which I find preferable. The indicators in the Colorado LS does have quite a loud tick, which when Bub was a newborn and asleep would have disturbed her and I probably wouldn’t change lane unless I had to!! The doors of the Colorado LS seemed to close better than in the LTZ where they never closed the first time and I had to keep slamming them which of course disturbed my sleeping bub or a warning alarm sounded. The windows automatically come down an inch when you open the doors, which at first I thought was good for ventilation living in Queensland but soon discovered it is very loud and annoying! Also when it is raining you really don't want the rain to come in. If I had managed to transfer my sleeping baby into the car without waking her, then the loud sound of the window going down and up automatically definitely would. Becoming a parent I soon realised which noises and sounds are unnecessary and I could happily live without if it meant my baby stayed asleep!! Having driven round and round the streets on many occasions in the last 16 months to get Tulsi to sleep, I know I would have been devastated if the windows noisily opened when I opened the door and woke her up! The engine noise is quite loud and sounds a little bit like a tractor but I think this might actually help babies as it works like white noise and drowns out other sounds. However, this noise is very tiring for the driver, which might not be a good thing for an already tired parent! 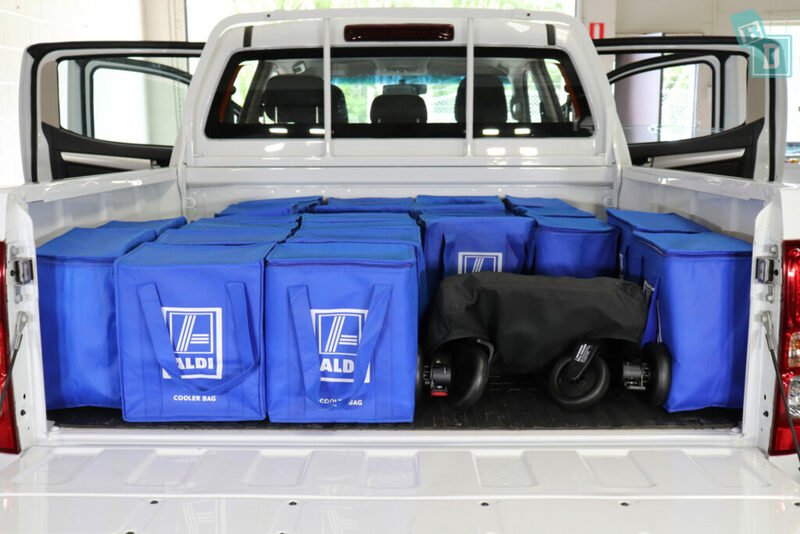 How many child seats fit in a Holden Colorado LS? 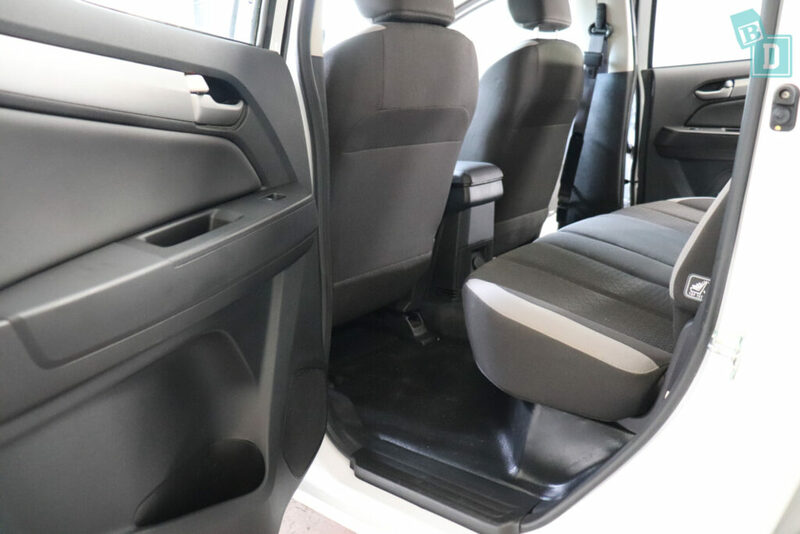 There are three top tether points situated behind the backrests of all three rear seats and ISOFix anchor points in the two outer rear seats. 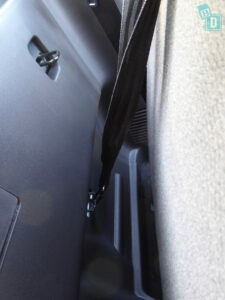 To access the top tether anchor points, you have to pull the tabs on the seat backs on both sides, which means walking around to the other side of the car to get the whole seat back to drop forward. 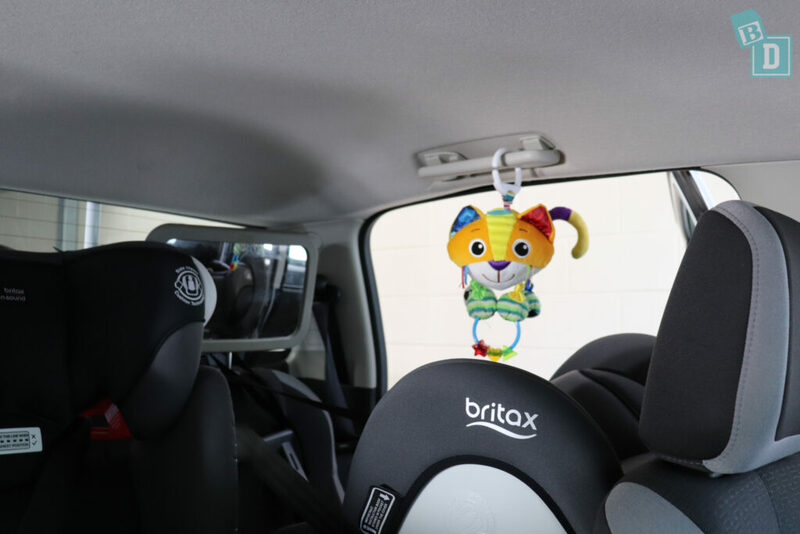 Then you connect the top tethers behind the seat backs before clicking the Isofix into place and locking the seatback back into position before tightening the tethers and Isofix straps. The door openings give ample space for posting bub into their child seats and doing it from inside the cab there is plenty of space too. Australia being a country of weather extremes blazing sun and torrential rain means you may find it easier to put bub into their seat from inside the car. 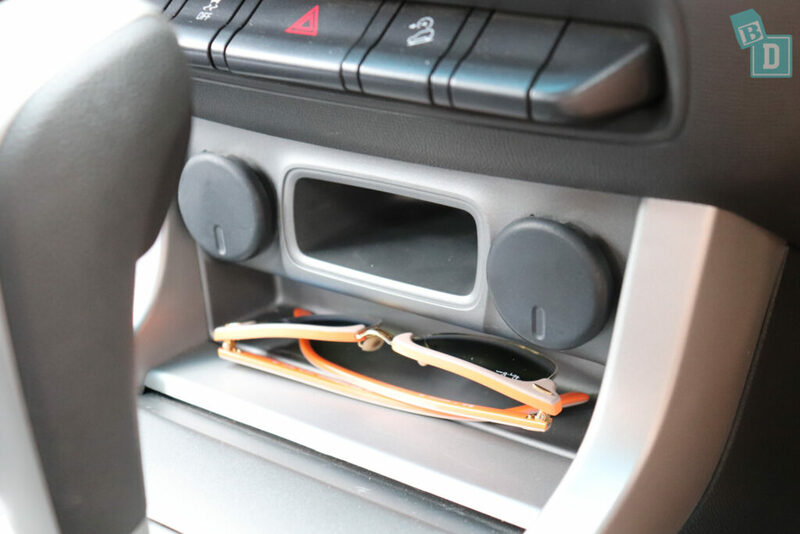 If it’s hot you can get the aircon going, cool the car down and not stand out in the heat with the door open while you fasten them in or shelter from the rain and not get soaked yourself whilst you’re doing it. So it is important to test whether bub can be easily installed from either direction. I thought because of the height of the vehicle I would have difficulty lifting bub up to post her in, as I’m 162cm, but it was actually very easy! You do not have to bend down and into the car at an awkward height or angle, everything is more or less at chest or shoulder height for me! I found when I parked next to a kerb it is even easier!! In the back, if you are not using the middle seat you can bring down an armrest in between the outside two. I could sit quite comfortably in the middle seat with enough knee and leg room and visibility was also good. My left arm was tight against the baby seat though and on a long journey I would need to drape my arm across the end of the child seat which would be fine with a newborn but once baby got older they don’t want your arm draped over their feet!! The seats in the LS model were comfortable, they had woven upholstery which would be harder to wipe clean with kids spills and crumbs. I couldn’t drive comfortably with a ponytail! My husband is taller and he could rest his high-pony on the top of the headrest, mine, however, sat right in the middle of the headrest and I had to take it out. I had spent hours styling my hair this morning to get it just right too… said no new mum ever but Dad had!!! There are no aircon vents in the back of the cab but I found the front ones were effective enough to cool the whole cab quite quickly on a hot Queensland day. One thing I have noticed since being a mum is I hate it when I reach a destination or get home from being out and Tulsi has either done really well in the car or she is screaming her head off and I have done really well to keep it together for the entire journey (usually the latter!!) and it takes 10 minutes to park the car! It can be really stressful. Usually I dread when we get the big cars and utes as they take longer in our tight apartment block carpark, but the Colorado was really easy and enjoyable to drive and to park! There are no fitted blinds on any of the windows. The rear windscreen is flat, so the sun will shine straight onto a rear-facing child’s face. This was a major problem for me and I would need to either heavily tint that window as adding a blind there would make visibility quite difficult. 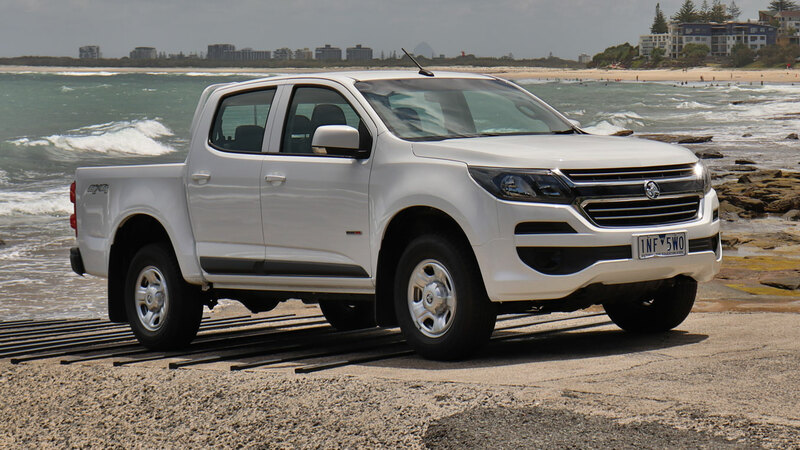 Holden fits a spoiler to the top-of-the-range Colorado Z71 that I think would provide some shade, but it's a big increase in price over the LS tested here! 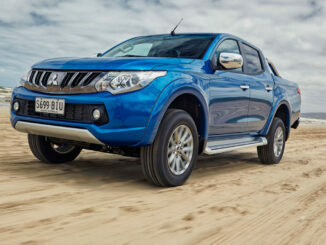 However, the reversing camera and park assist make reversing and parking very easy. The Colorado’s turning circle is really good, making tight car parks and parallel parking rather fun! There is not a vanity mirror in the driver’s sunblind, which I would like as it’s quite often the place I get to put on my mascara when I am sitting in the supermarket car park as Tulsi has fallen asleep! The steering wheel only moves up and down not in and out. Which I found a problem in the LTZ model previously but didn't cause a problem when driving the LS model so perhaps the seats have changed slightly. 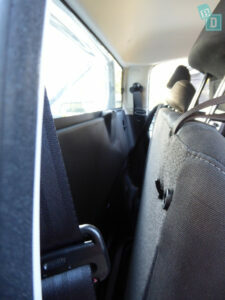 The elevated seating position makes visibility great for both the driver and passengers. The ceiling handles in the back are well positioned to hang a toy from to help keep Bub amused too. The Colorado scored a 5 Star ANCAP Safety rating in 2016. It scored 34.89 out of 37 overall which brakes down into 13.89 out of 16 in the frontal offset test, 16/16 in the side impact test and 2/2 in the pole test and scored good for its pedestrian protection. All models have seven airbags as standard; dual frontal, side chest and side head-protecting curtain airbags and a driver knee airbag. All models of Colorado including the LS comes with electronic stability control (ESC) that incorporates, anti-lock braking system (ABS), electronic brakeforce distribution (EBD), rollover mitigation (ROM), traction control system (TCS), hill start assist (HSA), trailer sway control (TSC) and hill descent control (HDC). Some of the safety features are also features that drive me crazy as a mum! Like the lane departure and forward collision alert on the LTZ and Z71 models, or the park assist beeping sound. I want all the safety technology AND to be able to mute the sound when Bub’s asleep! My Top 4 favourite cars of 2018! What are anti-lock (ABS) brakes? 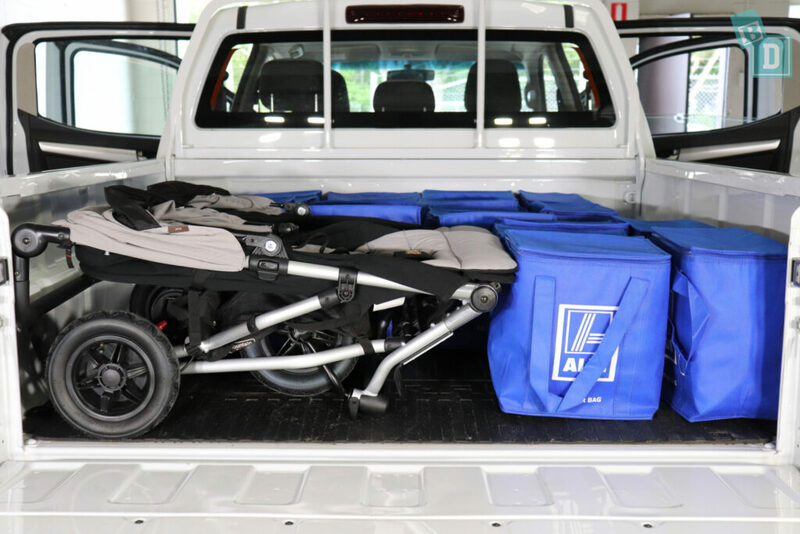 Which five-seat cars can fit a tandem stroller in the boot?